The Royals has been written in a kind of poetic style that one can only admire. Word for word just falls from the lips of the author just like a butterfly is taking in the moisture from the river bank of a fast flowing river. Most of the Royals get a mention, and a book on the Royals could not possibly leave out Diana. 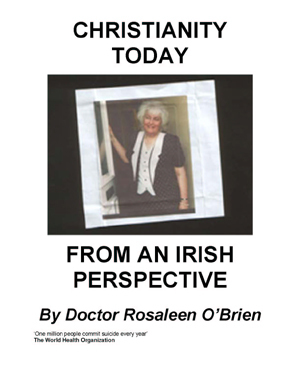 What she meant to her boys is generously written about and looking through the poetic eyes of Rosaleen it is not long before one grasps what it is really like inside those Palace doors. William’s thoughts having lost not just his own mother, but the Queen Mother and Princess Margaret, and his strength and understanding is beyond belief. Harry gets a mention too, whereas he is sometimes left out in publications in favour of William, Rosaleen has written about him with affection and warmth. 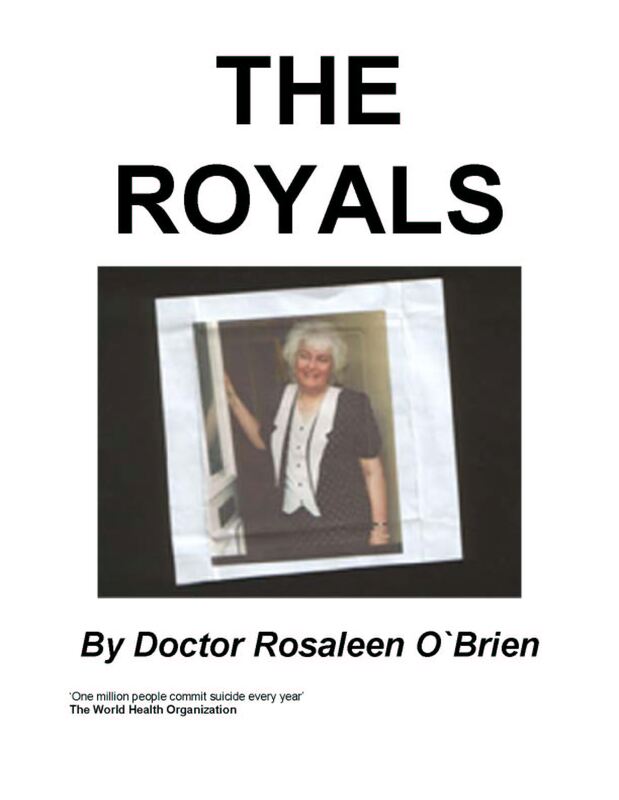 Why did Rosaleen write about The Royals? Well she could possibly ask Why Not? 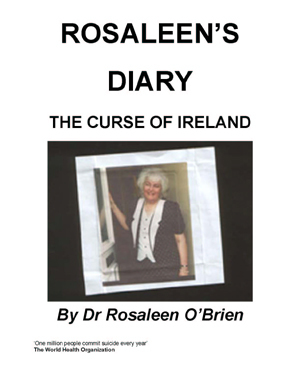 Rosaleen has always been interested in the Royal Family and has passed her exams in constitutional law among other subjects of interest to her. This book has been written with wisdom and wit and looks past all the repeated versions of over produced articles that fill our media day after day. Seeing the importance of the monarchy today Rosaleen writes in an inviting way encouraging the reader to look deep inside the subject and truly evaluate the rewards for being part of a system that not only accepts a monarchy but promotes it. Whatever the reader will think of this book one thing is sure that the Royal family will always have a place in our heart, the turmoil of palace staff relationships, the sheer determination in the palace staff facing obstacles and the banter downstairs from junior members all make an amazing part of British life making Rosaleen`s book a perfect item on every bookshelf, enjoy! Her Majesty was kept informed Yes One was surprised! 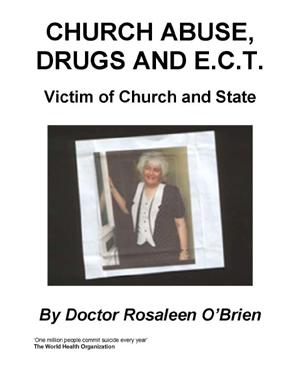 Church Abuse, Drugs and E.C.T.